A new take on a fan favourite, this Geranium & Grapefruit Body Wash lathers into a rich, creamy foam to gently wash away dirt and oil without drying your skin. It is also made with 12 certified-organic ingredients. Essential oils of geranium, grapefruit & lavender tone and nourish, while offering a clean, invigorating scent. Lather up and enjoy, follow with Geranium & Grapefruit Body Milk. 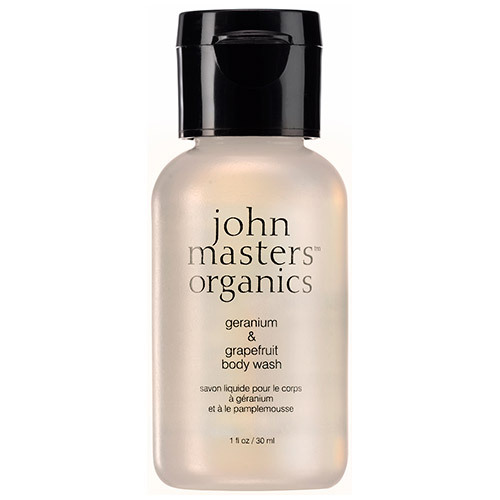 Below are reviews of Geranium & Grapefruit - Body Wash - 30ml by bodykind customers. If you have tried this product we'd love to hear what you think so please leave a review. A new take on a fan favourite, this Geranium & Grapefruit Body Wash lathers into a rich, creamy foam to gently wash away dirt and oil without drying your skin.